The Subvod C Starter Kit keeps the composition and structure of the popular pen form while including specs from new models and technology. 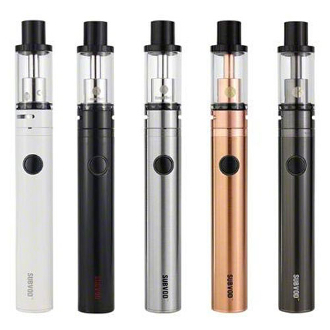 It includes a 1300mAh Kanger Subvod Battery and the Subtank Nano-C. This kit is small in stature and makes for a great travel companion! It is designed with ease of use in mind, and contains a micro usb charger for its passthru feature. It uses the SSOCC coils and features e liquid channels and airflow slots for an open vape. While the Subvod-C looks like some of the older ego models it actually is a very impressive cloud chasing device!